I have a serious infatuation with popcorn. Serious infatuation. I love settling into a dark movie theater with a tub of buttery popcorn between my Chief Culinary Consultant and I, and a Diet Coke on my other side. The smell is intoxicating, and we don’t make it more than a minute before we’re reaching for the kernels that leave our fingers with a thin film of butter and studded with salt. 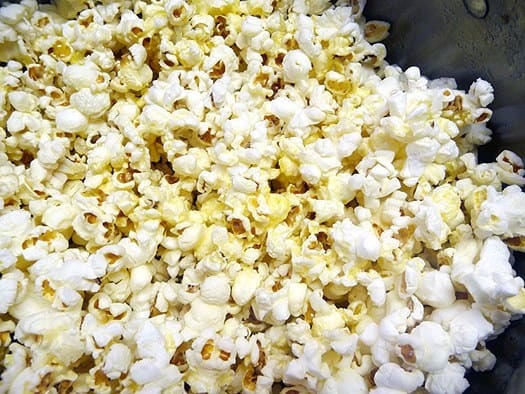 I know many in the foodie world would crinkle their nose at me diving head-first (well, not really, but close) into a tub of popcorn slathered in fake butter with a Diet Coke the size of my head sitting next to me. What can I say? I love going to the movies and the popcorn and fountain drink complete the experience! So what to do when you’re at home and you don’t have movie theater popcorn at the ready? Well, my Chief Culinary Consultant makes a mean bowl of popcorn that I can never seem to duplicate myself. He starts with a bag of light butter microwave popcorn and then performs some type of Harry Potter magic on it with additional butter and salt. It’s phenomenal! And I can never quite get it right ;-) Microwave popcorn has been popular for quite sometime, and I eat it often, but with the increased warnings about it giving off chemicals that will cause cancer (I tried researching to see if this was ever proven, but couldn’t find a definitive answer. Anyone know? ), it’s not a bad idea to know how to make the perfect bowl of popcorn right on your stove. Plus, it doesn’t take any longer to make than microwaving a bag of popcorn, believe it or not. 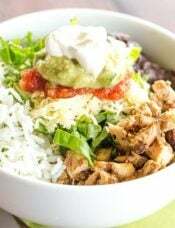 Once you’ve mastered the basic recipe, the flavor possibilities are endless – sweet and savory alike! Step 1: Gather your materials: heavy-bottomed pot (at least 5 qt. ), oil, popping corn, salt (popcorn salt if you have it) and butter (of course!). 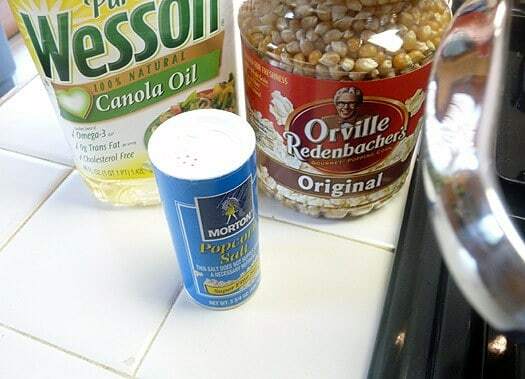 I recently saw that Orville Redenbacher has a special popcorn oil for, well, popcorn. I haven’t tried it yet, but I have no doubt it’s delicious. Peanut oil would probably be preferred here, but I just use whatever I happen to have in the pantry. Today that was canola oil. Step 2: Add the oil, salt and popping corn to the pot. Place the pot over medium heat. 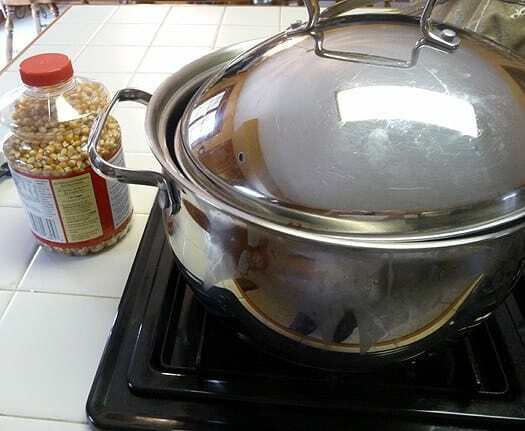 Step 3: Give the pot a little shake to make sure all of the kernels are coated with oil, and then put a lid on the pot, leaving it slightly ajar so that steam can escape. Step 4: Text, Tweet or check your email for a few minutes. The kernels are popping and doing their thing! Give it another mix. Add more butter or salt if you prefer, and then grab a movie and hit the couch! What’s your favorite popcorn flavor or topping? 1. In a large, heavy-bottomed saucepan, add the oil, salt and popping corn. 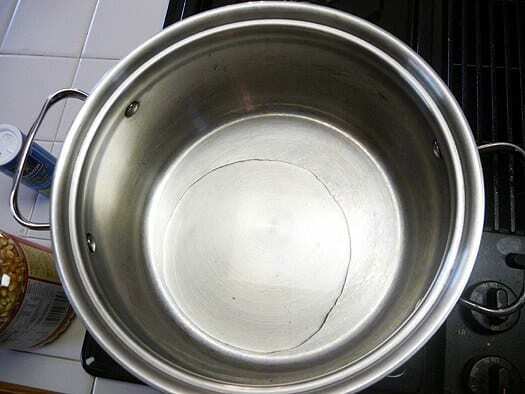 Turn the heat to medium, cover the pot with a lid left slightly ajar, and shake once or twice. 2. The corn kernels will begin to pop within a minute or two. 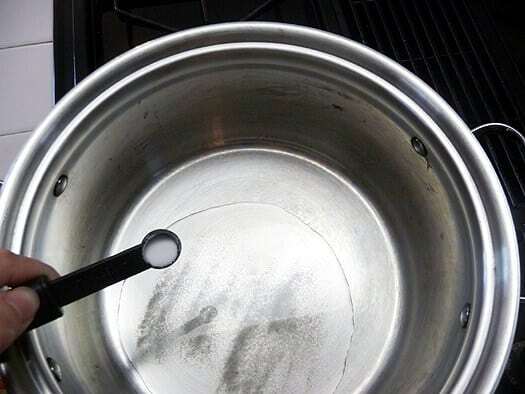 Once the popping slows to an almost stop, remove the pot from the heat. 3. 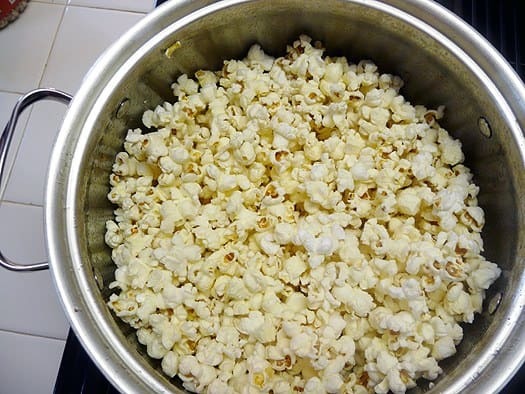 Transfer the popcorn to a large serving bowl and drizzle with melted butter, tossing well to combine. Add more butter or salt, if preferred. Hi Juli, Oh that’s weird! We always use oil to pop, so I’m not sure if it could be a factor of just doing the air popper? I followed this recipe exactly but the results were quite disappointing. I’d always popped corn on a higher heat setting, putting two kernels in until they popped, then adding the rest of the corn. My old method produces bigger kernels without burning. I’ve been popping corn on the stove for many years. However, a couple of years ago, however, I discovered the Catamount glass microwave popper. Wow, what crisp and delicious popcorn it makes. I use peanut oil and white popcorn. Real butter and salt, too, of course! I’ve found that store-brand white popcorn kernels make better-tasting popcorn than the Orvilles and Amishes and blacks and reds and such. I’m just guessing how I will be able to prepare popcorn on my own and for my own consumption and enjoyment. Hmmm, this was listed under Healthy Recipes…but it’s got oil and butter in it. I wouldn’t think a dietitian would categorize that as “healthy”! Having said that, I love popcorn with butter and salt but make it with a hot air popper (no oil required). How much butter is applied would define how “healthy” it is I guess. wendy, there is nothing wrong, healthwise, with fat! If a dietician doesn’t find a food that has fat in it to be healthy, then they are operating on old (mis)information. This was a great recipe. I haven’t done this in 30 years but it was fun watching my daughter’s eyes light up as each kernel came alive. this is a nice method, but I prefer the micro wave method. Hey i tried this popcorn and it turned out great, so easy too! I would love to start a blog, any pointers or insights you could give me. I don’t know where to start. No matter what I do, popcorn popper or stove top, the popcorn is stale like, not like the crunchy (Smartfood) popcorn. What am I doing wrong? I buy the Amish kernels and they make for some good stuff. My brother in law used to work for a popcorn farmer and they always made the BEST batches as well. 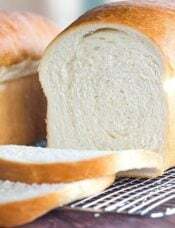 We don’t use butter in the end at all. All you need is salt. It’s wonderful. i found rikenbacker corn to pop tough i prefer jolly time.i store it in the refrigerator to preserve the kernals pluse it makes for larger popcorn due to the heating of the moisture.i do use his poping oil and salt i agree corn popped on stove is better,2nd is jiffypop.the kids lik this because of the foil puffing up. 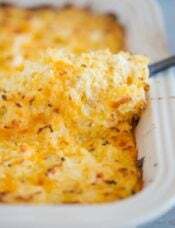 I wanted to leave a note and let you know that I have made this recipe at least 5 times now. 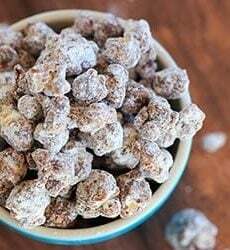 It’s my go-to recipe and a great after school snack. What I love is that I don’t have to use a popcorn maker, just what I already have in the kitchen. Thanks for the recipe! It yields awesome popcorn every time! Thanks for the new salt idea! I use a Hot Air Popcorn Popper. It pops without oil. Just add your favorite toppings after popping. I go my popper at Walmart a few years ago. The cost was between $10 – $15. thanks – I hadn’t made popcorn in a long time and needed a refresher — other sites had overly complicated recipes and formulas — yours is simple and works great – thanks again! 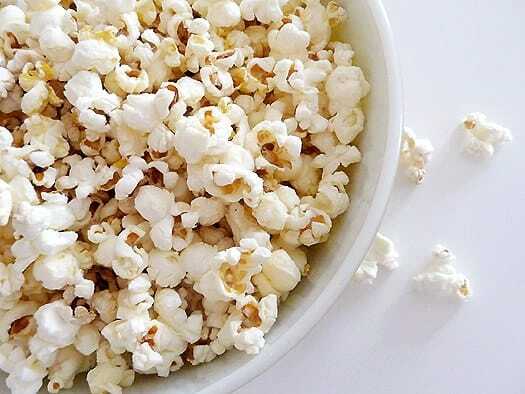 Movie theaters used to use coconut oil for popping their popcorn, because it has the highest burn temp of any oil. But then coconut oil was falsely lumped in with “bad” oils and the theaters backed off of using it. Coconut oil is a healthy oil! 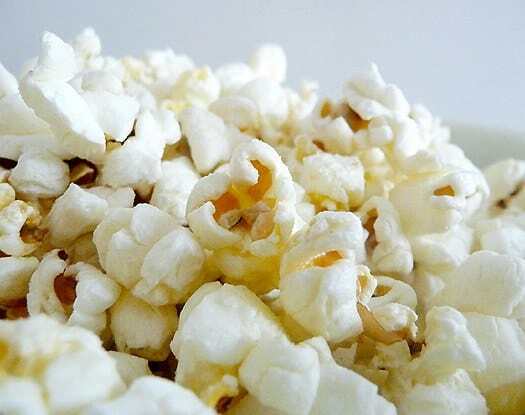 We prefer white popcorn & here’s a tip: popcorn pops light and fluffy due to the water content of the kernel. 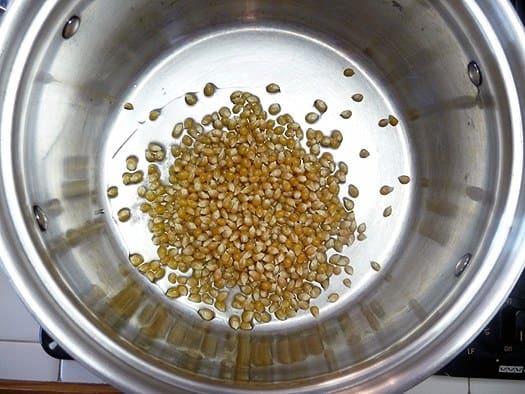 To rejuvenate “old” popcorn kernels seal them in a Tupperware-type container with a tablespoon or two of water for a few days. Nutritional (brewer’s yeast) makes a great topping, use “Real Salt” brand salt from the health food store or high-end grocery stores (you can go to the “Real Salt” website to find a retailer near you, “Real Salt” is mined from ancient salt beds in Utah & tastes far superior to Morton Salt, plus it has micro-nutrients our bodies crave! 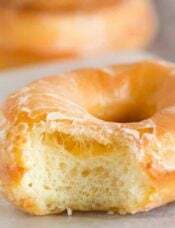 Use only real butter, not margarine. Health food stores sell Frontier-brand white cheese powder, ask about a special order if it’s not in the bulk spices section. Lastly ENJOY knowing your snack is healthy for you! I purchase 25# bags of popcorn from my healthy food store, it’s organic & far more inexpensive than microwaved popcorn, or even 1# bags of kernels from the grocery store. Omgz is this a bit of heaven! thank you for posting this! 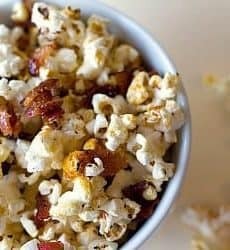 Wow, I just made this for the first time on the stove.. start to finish 10 minutes for that movie theatre popcorn that I just love! Thank you posting. I love popcorn! Working on my own FROM scratch recipes. Also I heard the MIcrowave popcorn has chemicals in bag that cause cancer. Popcorn is a favorite at our home. I have been aware of the health benefits of coconut oil, so I use it when ever I can to get it in our family diet. I tried it last time I made popcorn. It is awesome! Just bought 2 popcorn makers from Walmart yesterday, one Rival air popper and one Salton Cinema non-stick electric popper. Both make fine popcorn without any butter or oil, and the Cinema popper had not even one unpopped kernel at the bottom. Now I wonder: how do I best get the salt in, and how much salt is best? It’s actually good without salt, too. I will put the popcorn into plastic bags, to keep it for at least 1 to 2 weeks. Hi Crystal, I just sprinkle salt on to taste after it is done popping, use however much you prefer! I only enjoy popcorn from the stove, as microwave popcorn is like eating crunchy paper. The kernels are really cheap and it makes any movie moment the real deal. I LOVE POPCORN!!! Awesome post. Sometimes I use a skillet covered with foil and create some homemade jiffy pop. Just what I needed, thank-you! Heat was not high enough for my 1st batch, so tried again and the second batch was perfect! My family always made homemade popcorn as I was growing up. I was the one who always had to make it. I would stand at the stove and shake the pan till they no longer popped. I would have to make 2 or 3 batches because there was so many of us kids. We were a family of 8. I would poor it into a paper grocery bag. After each pan, I added about a 1/2 cup of butter and shook. Someone always came in and stole a big bowl of it, before the next pan was done. And I would repeat the process. I was at that stove forever as I remember. I would stop when they quit coming in and stealing the popcorn. It has been probably 20 years since I have made homemade popcorn. I recently went home to visit my family and found that my parents started growing popcorn. They gave me a bag to take home and try. 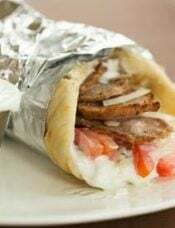 YUM YUM!! From bacon drippings back to coconut oil. Just did my first attempt at stove top popcorn because my microwave busted this morning. Worked out fine, fluffy and tasty. Extra virgin coconut oil in a ratio of 1:4 (oil to kernels). Everything popped in 3 minutes on my burner’s medium setting. Testing whether or not some of it will keep til tomorrow for my children’s’ school snack. Put the popcorn in a brown paper lunch bag. Fold the top over once or twice. 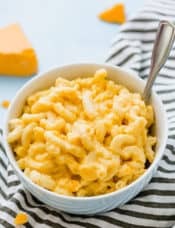 Place in the microwave and nuke just until you hear the popping slow (don’t wait for it to stop popping or it will scorch). Put the coconut oil in a bowl and microwave for 15-20 seconds to liquefy the coconut oil. Pour 1/2 the coconut oil over the popcorn, add salt and shake. Repeat process. Delish!! We love popcorn in this house (anyway my son and I do). 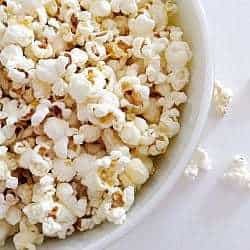 I found a recipe online for perfect popcorn made on the stovetop that included heating the pot with the oil and then adding 1/4 cup of popcorn to the pot, covering it and removing it from the heat for 30 seconds, then putting it back on the heat and letting it finish popping, as you move the pot around. The second it slows down, remove from the heat, shake a bit and let it finish popping. Every kernel pops and there is nothing burned on the bottom of the pot. It works but takes a bit getting used to. I used to buy Orville Redenbachers Movie Time Popcorn at Costco but stopped and started buying the Act III Natural Popcorn in single serving bags. My son did not like the change. So I went to Shop Rite and bought a box of 10 packages of Act III Buttered Popcorn. He likes that better. 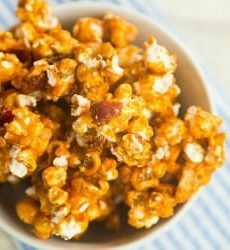 I used up the other stuff by making the oven caramel corn for the holidays and everyone loved it that way. Thanks for the recipe. Looks good.